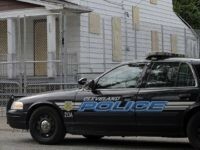 Police officers in Cleveland, Ohio, say a woman stabbed her boyfriend six times after she found him naked on top of her 12-year-old daughter. 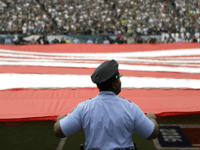 In a complete reversal from last week, the Cleveland Police have now decided to go ahead and participate in a pre-game flag ceremony with the Cleveland Browns, a report says. 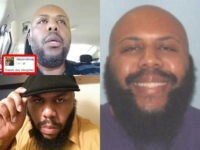 Cleveland Police are currently on the search for an “armed and dangerous gunman” who allegedly shot a man dead while broadcasting via Facebook Live on Easter Sunday. 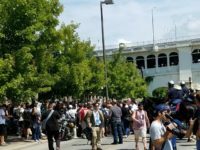 CLEVELAND, Ohio — Police have seized gas masks and a slingshot in this city’s downtown area as tensions continue to rise during the Republican National Convention. Ohio governor and possible GOP presidential hopeful John Kasich called recent protests in Cleveland as a “model” for cities experiencing racial tensions. Cleveland emerged unscathed and intact after a day of protests following the acquittal of a patrolman who had been on trial in the shooting deaths of two unarmed suspects killed in a 137-shot barrage of police gunfire.